Learning to crochet is hard. There I said it. Well, let’s be honest, it’s not rocket science – but here’s where it can be tricky and frustrating (hard is probably too strong of a word). 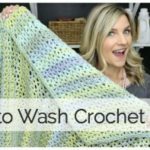 I want you to remember 3 crochet tips for beginners. Ready? Relax – Grace – Edward Scissor Hands. Ok, so first I said relax. One of the big things I see with beginner crocheters is that they crochet too tightly. When you learn something new, you tend to be really tense. 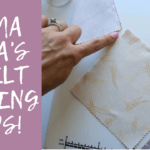 Holding the yarn and hook too tightly and keeping your shoulders up to your ears will add to the frustration and give you a neck ache, so while it’s totally natural and understandable, try to relax. The work isn’t better if it’s tighter. The other thing to remember is grace. Grace with yourself. 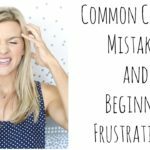 It’s ok – you are new at this and you won’t be perfect at it. To be too hard on yourself at this point is counter productive. Have fun, relax and take it easy. 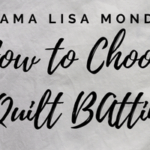 Don’t beat yourself up about crochet. Seriously, it’s crochet. Ok, so the last thing is Edward Scissor hands – I know. You heard me right LOL. So, when you first start to crochet you feel like Edward Scissor hands. Your fingers do weird things. You aren’t sure what to do with your hands. You drop the hook 85 times. It feels strange the way you hold you hook and yarn and the way that gets better is the muscle memory. And muscle memory takes practice, so that strange feeling that your hands have a mind of their own is not in your mind – it’s legit. 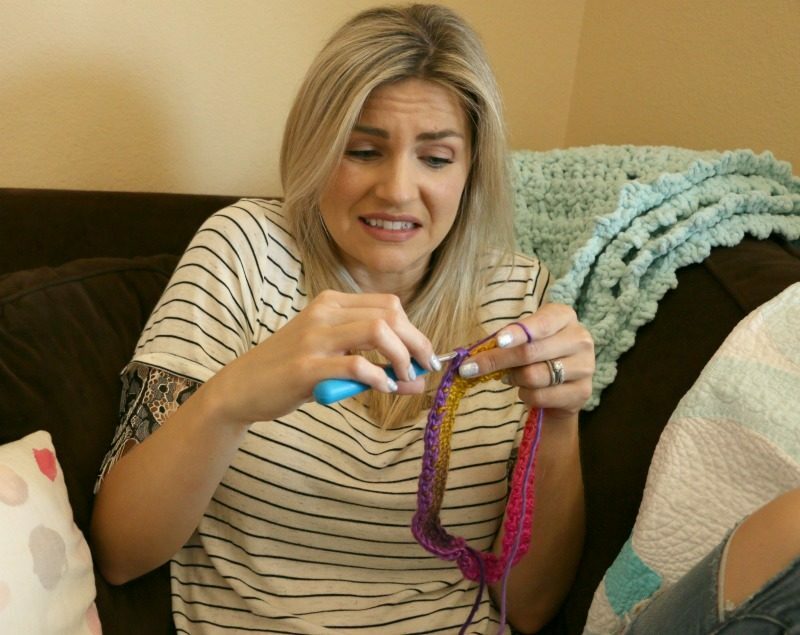 So I hope these 3 crochet tips for beginners helped you avoid the epic eye roll…. And help you find more peace. Reach out if you need any help, I got you. And yes I just used 3 gifs in one post… haha! 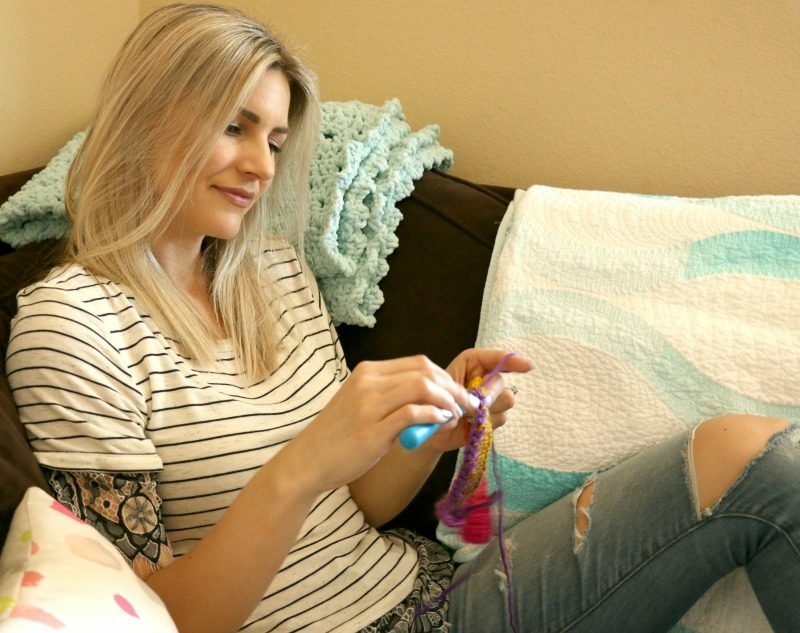 Need a simple crochet tutorial? Check out this one, it’s a fan favorite! The second video, you had me rolling with laughter. This is such a cute blog, glad you did one. Also, may I ask what stitch you used on the blanket in the background that is on the sofa corner behind you ? What color is it ? It looks like it’s between a mint color or possibly a light pale blue ?